Why Adopt Mobile Learning For Online Training? 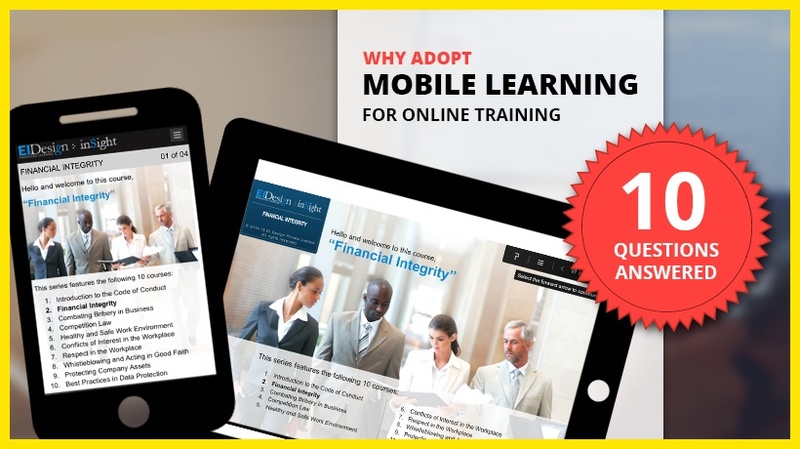 Following are 10 questions answered about adopting mobile learning for online training. Let us begin. Q1. What Is mLearning Or Mobile Learning? mLearning or mobile learning is self-paced online training that is available to the learners on tablets and smartphones. Typically, the same training would also be available on desktops/laptops helping learners learn on the device of their choice. Q2. What Is Driving mLearning’s Rapid Adoption? Organizations today are seeing an increase in the millennial workforce in significant numbers. Millennials in general are die-hard smartphone addicts, so much so that a CNBC report states that 93 percent of millennials admit to using their phones in bed and nearly 80 percent of them say they can’t part with their phones in the washrooms too! 2. How Learners Want To Learn. Learners today want to waste no time in knowing something they want to know. The staggering number of views on the “How to…” videos on YouTube tells you something. A lot of this learning is “just-in-time” learning and this is justified by the fact that YouTube itself has put up a stat saying “more than half of YouTube views come from mobile devices”. Today, if learners are in need of something urgent, they are likely to drop in a message in one of their WhatsApp groups or other chat applications (collaborative/social learning). The change in learner attitude in terms of getting to know what they want to know clearly warrants adoption of the mobile learning approach. 3. Changing Learning Device Preferences. Learners today are seeking the flexibility to learn on the device of their choice. According to a Statista report, the percentage of users owning multiple mobile devices worldwide has grown from 8% in 2011 to 25% in 2016. With advancements in technology, this trend is likely to continue in the years to come. Learners are, therefore, looking to learn seamlessly on the device of their choice and at a time of their convenience. 4. Maturing Of Supporting Tools And Technologies (mLearning Authoring Tools And Learning Management System Support). In the last few years, there have been significant improvements on the technology front. With the growing demand for mobile technology in the market, many mobile-compatible technologies have evolved. Today, one has several mobile learning authoring tools (which support both Adaptive and Responsive designs) to choose from. The Learning Management System technology has also evolved and is very much in line with the developments being made in mobile technology. Q3. Why You Should Not Ignore mLearning Or Mobile Learning As Part Of Your Training Delivery? As I see it, to maximize the impact of your training, giving learners the flexibility to learn "on the go" as well as on the device of their choice (tablets and smartphones) is necessary. Consider the following statistics. These (and there are plenty more) numbers make a clear case for adoption of mobile learning. By 2018, 70% of professionals are likely to work using their personal smartphones. A whopping percentage (60%) of the workers consider mobile to be their “most critical work device”. Almost 100% of the learners are likely to complete the training in the mobile format. 47% of organizations are already using mobile devices for their training initiatives. Q4. Can mLearning Or Mobile Learning Be Applied To All Corporate Training Needs? mLearning is a great fit for all possible training needs ranging from formal training to informal training (just-in-time learning or job aids). It can also be used effectively to foster collaborative or social learning. You can also use components of mLearning to enhance your ILT/VILT sessions. Q5. What Are The Benefits Of mLearning Or Mobile Learning? Demonstrates better completion rates and higher retention. Adapts to formal training as well as Performance Support (just-in-time learning or job aids). Facilitates “learning as a continuum". Q6. What Aspects Should You Watch Out For As You Begin mLearning Or Mobile Learning Adoption? Here is my list of 5 aspects that you must watch out for. A careful evaluation of these aspects will help you create an effective mobile learning strategy. 1. Mobile Learning Is Not eLearning Lite. You must revamp your learning strategy so that it is aligned to the strengths and limitations of mLearning. Looking at the training, business, and learning mandate, you need to evaluate and select Adaptive (mobile learning solutions that support PCs, laptops, and tablets) vs Responsive (mobile learning solutions that support PCs, laptops, tablets, and smartphones). There are trade-offs in each approach and these must be duly weighed upon before you make the selection. 3. The Same Content And Same Learning Strategy Would Work On All Devices (Including Mobile Devices). When designing for the mobile medium, the information needs to be broken down into smaller pieces and how these pieces will appear on the mobile device needs to be factored for. Also, the user interaction and design should be such that it works well for all devices with equal ease and intuitiveness. 4. Tablets And Smartphones Both Support HTML5 But The Same Learning Strategy Does Not Work On Both Devices. A great way to crack this and ensure a similar learning experience is to design your strategy for the smartphone first, then for the tablet, and then for PCs/laptops. 5. Get Your Strategy Right To Deliver A Complete Learning Experience On Smartphones First. This is very much possible if you factor for the limitations of the mobile medium and design your strategy keeping the user experience in mind. Q7. Can mLearning Or Mobile Learning Be Used To Meet The Different Expectations Your Millennial Workforce Has? To be able to address this, you need to first be aware of the traits of millennials, their preferences, modes of accessing information, and what gets them hooked. You can then design your strategy accordingly, using elements of the way they go about fulfilling their various infotainment needs. Q8. What Are The Other Aspects You Can Use To Increase The Impact Of mLearning? To facilitate sticky learning, you can adopt engaging approaches like Gamification. Also add Performance Support Tools (PSTs or just in time learning aids) that are accessible to learners within their work-flow. These will facilitate the application of learning on the job. PSTs are short bite sized assets that are a great fit for mLearning or mobile learning. Q9. What’s Trending In mLearning Or Mobile Learning? Q10. What Other Approaches Can You Adopt To Increase The Impact Of Your mLearning Or Mobile Learning Strategy? Leverage on the combination of microlearning and social learning. Provide a learning path based approach to the learners. Offer personalized learning (include feedback along with reinforcement or supplement options). 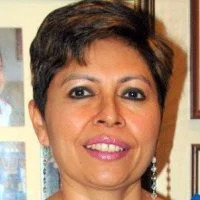 I hope this article gives you some cues that you can apply in your organization, irrespective of whether you are new to mLearning or are looking for approaches that can increase the impact of your mLearning. In case you have any specific questions, do contact me.